Choosing a profession begins with imagining yourself in a career: here are all the details you need to get started in the popular field of real estate—from salary expectations, regional challenges, and how to use social media to your lucrative advantage. 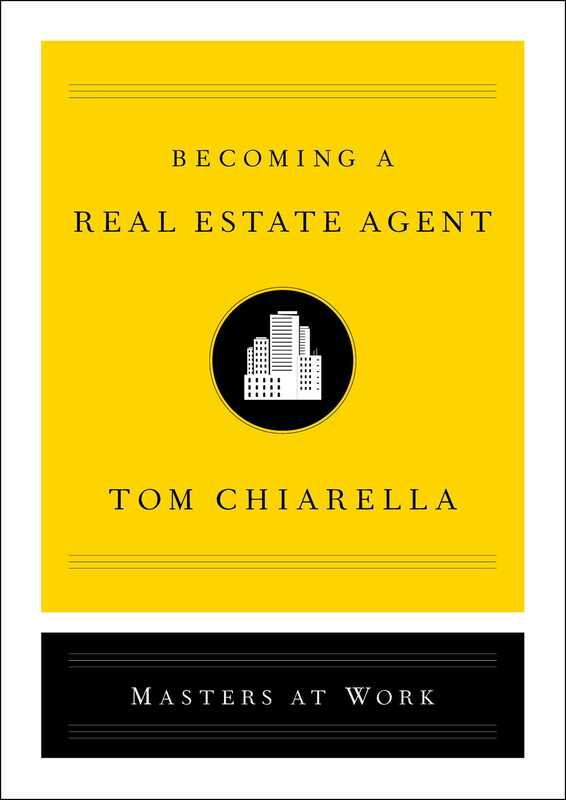 Starting in his own backyard, Esquire writer Tom Chiarella explores the requisite skills needed to thrive in various real estate scenarios: a static buyer’s market in rural Indiana, a booming seller’s market in Seattle, and the incredibly high-end market of Chicago’s luxury high-rises. Forming a personal connection with each of his subjects, he watches them work in the front seat of their cars, at lunches, on street corners, and in the doorways of homes. What Chiarella discovers is that great real estate agents devote themselves to the job with a sense of craftsmanship. Showcasing the individual tools used to develop a successful real estate career, Becoming a Real Estate Agent profiles individuals who live a life of thrilling improvisation, action, and instinct—a life in which excellence is sometimes gauged by the ability to walk away from a commission when circumstance demands it. The process of buying my house began much as it does for anyone. I made a call to a real estate agent. I was standing with my wife on a rural county road, in front of a beautiful place we wanted. The sun was setting. Tree frogs sounded in the air. I dialed the number on the yard sign. No answer. It was evening, so this didn’t seem unreasonable. I called the agent who sold my last house. A young hustler who went to the local college where I’d once taught. Again, no answer. Annoying. So I decided to call the agent who’d represented the buyer of my last property. Steve Custis. I remembered sitting at the closing, thinking that he reminded me of my dad. All smiles, but dead serious about work. Over the years, I’d come to watch my various real estate agents closely, to double-check everything they did, and grew to listen to them only dimly. I tried to outthink them because I worried they weren’t really working for me. I was certain they overstated their role in negotiations, and that they profited in other smallish ways that I wasn’t aware of. I imagined they defined themselves that way: on sales, on moving quickly, on keeping balls in the air, while piling up commissions. Like everyone involved in a real estate transaction, I wondered: What is a good real estate agent anyway? If I admit my cruelest prejudices, I’d have to own up to the fact that I saw them as a bunch of second-career, end-of-the-road desperados who’d taken a dopey course, gotten a dopey license, and then started stacking up easy cash based on sales volume. Was it even possible, I wondered, to serve a client well without slaving to the bottom line? In fact, did any of them care about the place where they lived? Did they see their business in terms that stretched beyond the money? Aesthetic terms? Historical terms? Human terms? What makes a good real estate agent? Who are the best agents? Never mind that, who are the good ones? Where are they? What do they do all day? Why? Could you go into a torqued-up seller’s market like the one in San Francisco or Seattle and find an agent working with honor? I was standing outside the house we wanted to buy and I wanted answers. Here’s what I found out. The basic advertisement for the job? Real estate is a tough yet rewarding business driven by energetic, results-oriented individuals. Real estate agents must be capable of outliving the exigencies of the housing market and the pitfalls of the title process. They must use their ethical and professional training to represent the needs of their clients—whether representing buyer or seller—while navigating the sometimes-arcane processes related to the transfer of property title and deeds. Real estate agents work solely on commission. They must generate business at a level robust enough to carry them from one sales commission to the next. At times there are months between closings. Or longer. There’s freedom in it. Good agents, like the ones visited in this book, go to work on their own terms, control their own hours, dictate their own level of commitment to the job. They represent their clients but work for themselves. They do so willingly, and eagerly, and they live to see the profits. Residential real estate agents are licensed by the state to negotiate, arrange, and oversee the process of transferring title and deed in property sales. Their duties include listing the property for a seller, advertising that property, and showing it to interested buyers. Interpreting local and national market conditions, they strategize with clients to find the best value for the individual home buyer or seller, formulate listing offers, complete sales contracts, and oversee and interpret inspection processes and reports. They often make contacts with financial institutions for their clients and work with the title authorities to set up the closing process, then oversee that process until the property closing date, which generally takes several weeks. At closing, they get paid. So, contacts, leads, listings, and showings. Followed by offers, negotiations, due diligence, and then the closing. Some fail in these obligations. There’s little room for sloppiness or procrastination in this line of work. The truth is, most fledgling agents don’t last more than a year or two before they wash out, and even so, a bad agent can survive while not doing the job well. Their misdeeds can be difficult to track. Often only their reputation serves as fair warning to potential clients. Accordingly, some people regard real estate agents as little more than opportunistic flim-flam men. After all, anyone can sell their own home, or make an offer on a new one. A good lawyer can do the contract work and cover the transfer of deeds and title work. Many buyers and sellers resent the very presence of real estate agents and feel that the standard commission is excessive. There are apps and web service providers that tap into this sentiment, cutting real estate agents out of the equation altogether. Even so, 95 percent of American homes were bought and/or sold by licensed real estate agents in 2017. Despite popular opinion, it seems they are here to stay. So what do they do, how do they do it, and why? Being a real estate agent has long been considered a great second career, a fine second act. It can be a good living, working on a sales commission on the title transfer of what, for most people, represents their most valued, and valuable, single asset: their home. And commissions are split in many ways: between the buying and selling agent, between the agent and their brokerage—even referring agents get a slice—so that many agents benefit from layers of income on a single transaction. A real estate agent’s success is measured in sales: frequency of sales and total sales volume, making it a different job in different parts of the country. These numbers vary wildly from one market to the next. A high-end agent in San Jose, California (where the median home price was one million dollars in 2017), might represent the buyers of a mere three properties selling at just over two million dollars each, to net themselves $200,000 in annual commissions, their end of the agent’s split with the brokerage, while an agent in the rural Midwest, say Youngstown, Ohio (where the median price of homes was $75,000 that same year), might have to sell eighty properties to get anywhere near that figure. Frequency and volume. Is one a better agent than the other? Does one agent outwork the next? You’d have to hear their stories. One of the agents profiled in this book told me, “All real estate is local.” It’s a different job in every part of the country, different in every decade of our recent history. Different when demand is high, different when banking conditions are favorable, different when a factory closes and demand falls away. Every agent brings their own knowledge of a given place to the job when they start. They form a sort of philosophy of the craft based on that knowledge. For this book I chose three successful working real estate agents in three utterly different markets. Two men and a woman, each with distinct perspectives on their work in this moment in the American economy. I attempted to create a mosaic of moments that when taken as a whole, mimic the chronological cycle of most real estate transactions—from initial contacts and leads to listings, home showings, purchase offers, negotiations, inspections, and closing. This cycle is the pulse of the job, a heartbeat that runs at a different pace from one market to the next. At any time, a real estate agent, representing both buyers and sellers, might have listings in every stage of this process. In good times, it is an exciting series of procedures, negotiations, and deadlines that must be monitored, balanced, and kept on schedule. In bad times, the days between closings can stretch out interminably. Antje Gehrken, a fifty-year-old Realtor in Chicago, has been in the business for a mere seven years. In this relatively short time she already has a thriving real estate brokerage with a dozen associated brokers spread across the city, from the northern suburbs to the Loop and throughout the South Side. She came to me recommended by the Chicago Association of Realtors, which cited her work in mentoring women Realtors who entered the field after a vital first career, or after managing a household or family. Gehrken’s done all of that, leaving behind a career as the singer-songwriter for a successful regional rock ’n’ roll band, which she led for more than fifteen years. She would tell you: She bounced around the stage. She cranked it up. She toured, recorded, and lived on the road. Simultaneously, Antje and her husband bought a house, managed rental properties, and raised a daughter in suburban Chicago. Then, in her early forties, Gehrken simply stopped, left the band, and turned wholly to a new career. First, she taught college at an art school. Then she found real estate, using the acumen developed in the management of the band, the restoration of her house, and heading up her family as her skill set. She wisely created multiple revenue streams in the residential and commercial real estate market. Now she bounces around the stage of the city, a real estate market she calls “flush, but not crazy.” She provided me with a model of mentoring and self-motivation. These three generously allowed a writer into their processes: building leads, creating listings, assessing the markets, the buyer’s showing, the seller’s showing, the offer, the due diligence, the negotiation, the close. By examining the lives and minds of established, practicing real estate agents in different parts of the country, in wholly different sectors of the housing market, I discovered what makes them return year in, year out, to this difficult field, what allows them to thrive in the business, and what they draw from the job as human beings. I tried to strip away the perceptions of the real estate agent to show the reality of the financial risks and rewards, and to determine what it takes to become what I found in each one of them: real estate agents and human beings working jobs that teach, fascinate, and fulfill. Tom Chiarella is a Professor Emeritus of English at DePauw University and longtime writer for Esquire where he profiles celebrities, athletes, and political figures and pens two columns for Golf and Influence. He’s also a contributing editor at Popular Mechanics and Chicago Magazine. He has also written for Golf Digest, Outside, Wired.com, BleacherReport.com, Elle UK, Fashion (Canada), Euroman, and Mr. Porter. He lives with his family in Bainbridge, Indiana. He’s the author of Foley’s Luck, Thursday’s Game, Writing Dialogue, and Becoming a Real Estate Agent.